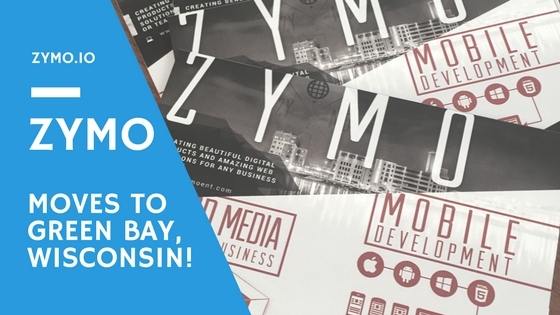 ZYMO Interactive | Zymo Interactive App Development Moves To Green Bay! It's Moving Day for Zymo Interactive Development! Earlier this month, Zymo Interactive Development said goodbye to our De Pere office and said hello to our new space, located at 1263 Main Street in Green Bay, WI 54302! Although we'll miss our shared office with the ZyQuest Team, we are very excited to move into our new office in Green Bay. The space required a little bit of handy work and customization, so we rolled up our sleeves and put our creativity and design skills to a different use, as seen in the photos below! We put our digital tools down for the weekend and picked up paint brushes, hammers, and screwdrivers to make sure the new Zymo office was ready to go! We believe creative teams need a creative space to, well... create. Our new office offers an excellent set up for teamwork, creativity, and excellent design and development for all of our projects. We look forward to using our new office to collaborate and create amazing new products and digital solutions! The Zymo Team setting up shop!